Harry is using Smore newsletters to spread the word online. 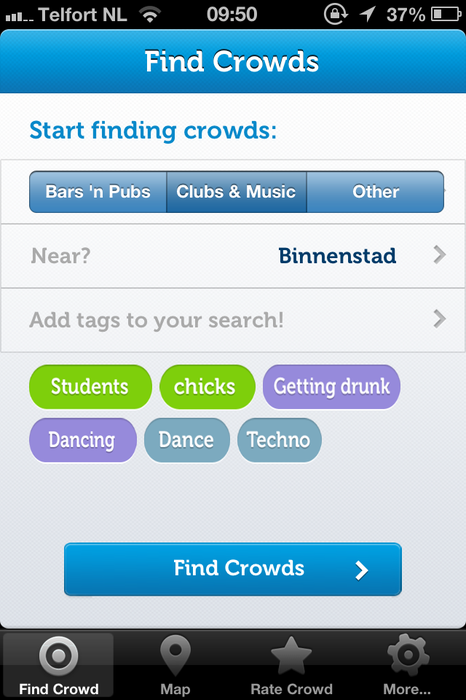 CrowdSpot helps you find great crowds when you go out! Users can tell other users where to find the best crowds in town. But since not everyone likes the same stuff, we let you add tags to describe the crowd and the music. 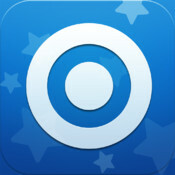 By giving a mini-review or 'crowd rating' you can help create a free mobile nightlife guide! We were inspired to build a social application focused on helping users have a great night, by the strange phenomenon of sometimes being in an awesome crowd! We've all had those nights where everything seems to come together, you're having great conversations, you're drinking, dancing, going wild with your friends and the next morning you wake up in bed, thinking "Last night was crazy!". At one point we started asking ourselves the question why are those nights so much fun? It's not just one or two things, it's a combination of factors, but overall we agreed that what you need is an awesome crowd! So we decided to build an application that lets you rate crowds. 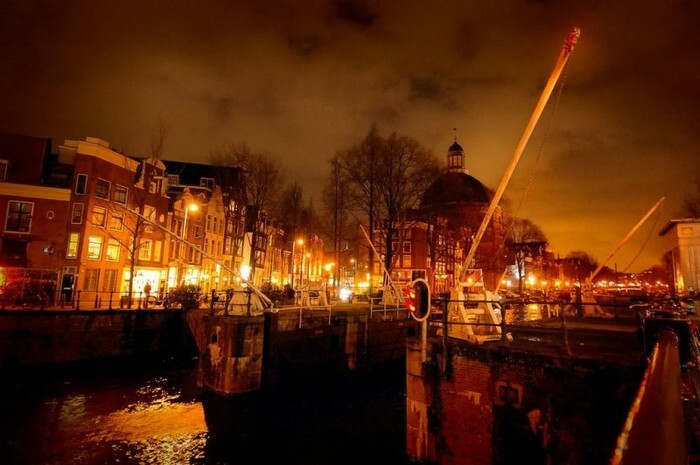 This way, you can start looking for new nightlife experiences instead of going to the same bars over and over again. This can also come in handy when you're visiting or moving to a new place! 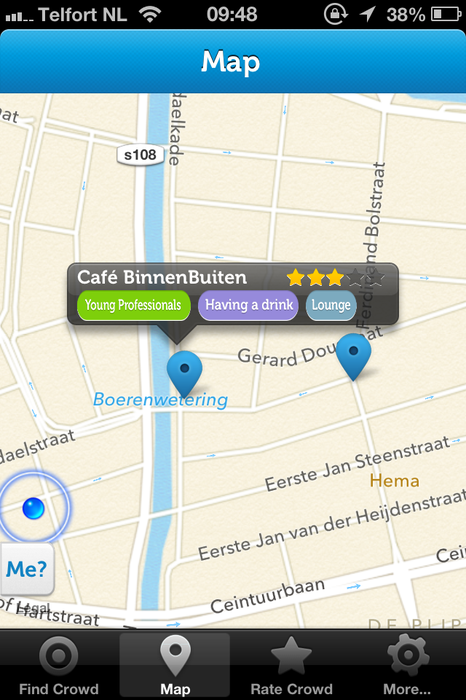 Anyway….Just give it a try, start rating crowds and let's see if we can make an awesome nightlife guide! Select the tags you like to find crowds relevant for you. 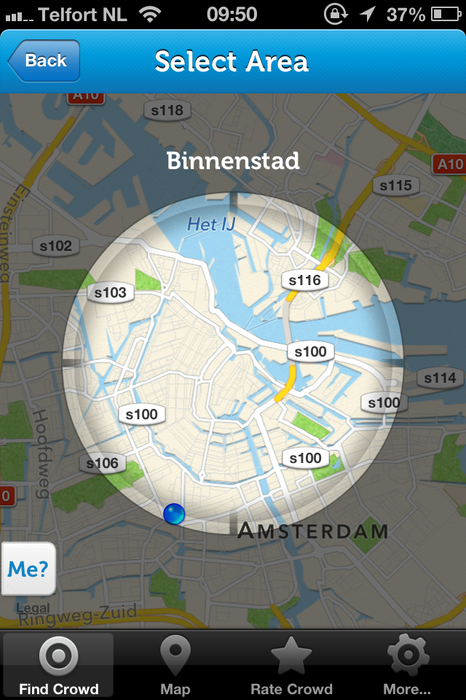 Find crowds on a map! This way you can immediately see what's happening around you! Let us know what you are up to, so your friends and others know where to find awesome crowds!